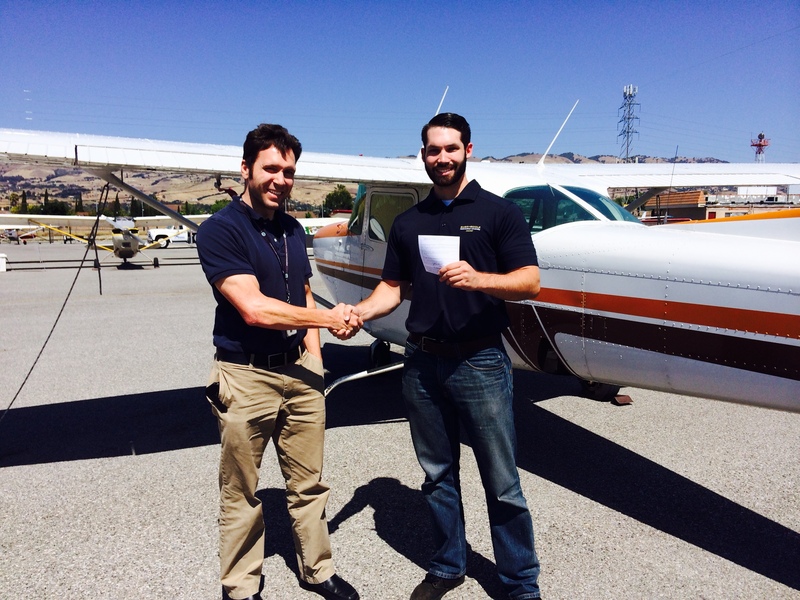 Congratulations to Casey Walker and his CFI Jen Delp-Mallet!! AeroDynamic is pleased to announce we have a new instructor joining our ranks! Casey initially completed his tailwheel training with us, and yesterday finished his CFI (flight instructor) checkride with Jordan from SJC FSDO. You will find Casey teaching primarily at our Monterey and Salinas locations, and soon he will be teaching in our tailwheel aircraft at all 3 locations. Great job on all the hardwork, Casey! Tags: Cessna 172RG, CFI, monterey, Salinas, San Jose.